Thousands fleeing violence are hoping to find refuge. It is unknown whether East Dunbartonshire will help to accommodate Syrian refugees coming to Scotland. More than 300 refugees fleeing from the war-torn country are expected to arrive in the country before Christmas. A number of councils have already agreed to house families. These include South Lanarkshire, where the council has said it would take up to 60 refugees, with two families expected to be welcomed to the area within the month. However, in East Dunbartonshire, Council leader Rhondda Geekie said the council was “exploring options” and “potential support” would then be considered. She said: “The council is involved in the ongoing national discussion to agree Scotland’s response to the current refugee crisis. “The initial arrivals in Scotland will be to those areas that have already identified accommodation solutions. “In East Dunbartonshire we have agreed to explore options through the Community Planning Partnership and potential support will then be considered by the council and partners. 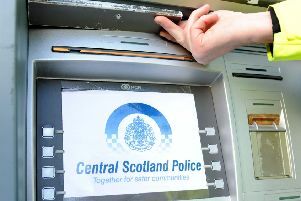 A spokesperson for the Convention of Scottish Local Authorities told the Herald: “This is a scheme between the Home Office and individual local authorities throughout the United Kingdom.